24 hour plumbing, 7 days a week for all your emergencies! H2-Pro’s can-do approach immediately puts our customers at ease, as they quickly realise no domestic plumbing job is too big or too small for our friendly and experienced team! 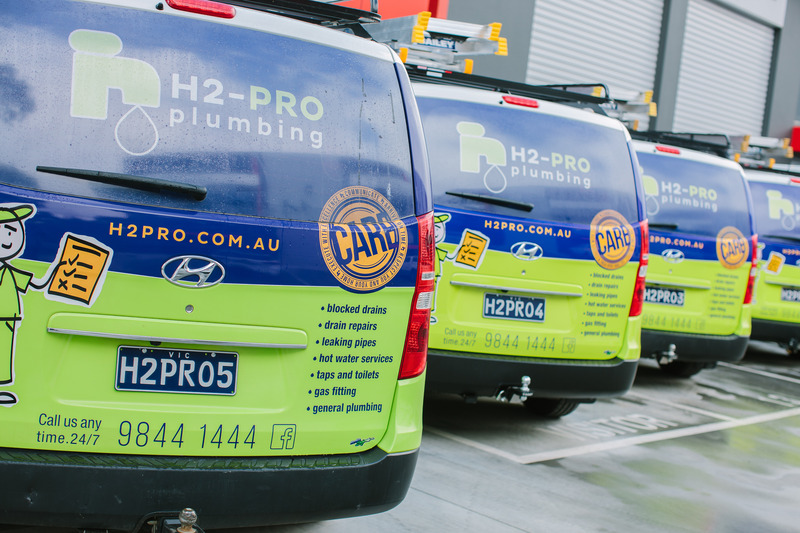 With a real focus on our local community, H2-Pro are moving around Melbourne’s northeast all day, every day, providing a variety of domestic plumbing services. Rather than tackle a whole lot of suburbs across Melbourne, we instead choose to focus on the Warrandyte region as well as many surrounding suburbs. As a local plumbing business, we’re closer, which means we can get to you sooner, reducing wait times. This is especially valuable for those plumbing emergencies that just can’t wait! By focusing on a Melbourne’s northeast, we offer specialised and dedicated domestic plumbing services. No job is rushed, no job is too big or too small, and no time of day (or night!) is off-limits. Need a plumber in Warrandyte? Call H2-Pro anytime of the day or night for expert plumbing support and services. One of the almost-20,000 who call Eltham home? You can rely on H2-Pro’s local plumbers for all plumbing problems and emergencies. This sprawling suburb is located right next to Warrandyte. If you need a local plumber to visit your Templestowe home, rely on H2-Pro! Located to the west of our Warrandyte hub, Blackburn locals can depend on H2-Pro’s dedicated team of expert plumbers to solve their plumbing woes. Located in the small suburb of Rosanna? H2-Pro’s domestic and emergency plumbers are ready to help you! Looking for a reliable local plumber to come to your Doncaster home? H2-Pro offers domestic and emergency plumbing services to Doncaster locals. Do you live in Croydon Hills? Then you can rely on H2-Pro for your household and emergency plumbing needs. With a population of around 15,000, Mitcham is one of our highest-demand suburbs! Need a local plumber? Call H2-Pro anytime. We also serve many more surrounding areas including Balwyn, Kew, and Canterbury. Call us to find out how we can help you: (03) 9844 1444. Why choose H2-Pro as your local plumber? With a real emphasis on local, H2-Pro’s goal is to become your chosen local plumber in Melbourne’s northeast. Live locally? Join now to receive 10% off every plumbing job – for life! Established in 2000, H2-Pro’s team has decades of combined plumbing experience and knowledge. Our respectful team arrives on time and always cleans up before they leave. Any good plumber knows that by delivering a complete range of plumbing services – from small fixes to larger and more complex issues – instils trust with a potential customer. When people search for a plumber, they naturally tend to lean towards a company that is located nearby. By choosing a local plumber, you’re choosing a swift response. We’re a small business with a big heart! By engaging the plumbing services of H2-Pro, you’re choosing a family-run business committed to service, communication, satisfaction, and trust. Find out more about our community focus here.